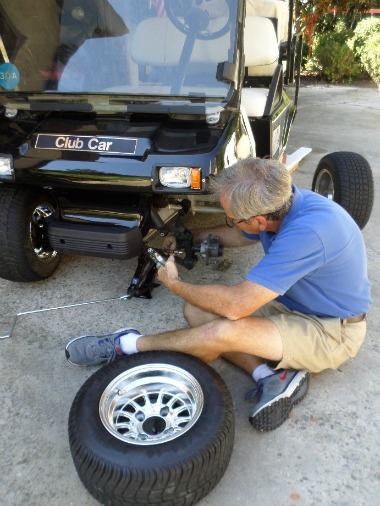 Regularly scheduled golf cart maintenance can prevent many unscheduled golf cart repairs. If you have just purchased a new or used golf cart, you may be wondering what kind of golf cart care is needed to keep your golf cart running optimally. The good news is that the care that is needed to maintain a golf cart is really quite easy. Here I'll cover just a couple of them. Your golf cart service manual is a good source of information that provides a very detailed list of a periodic service schedule. Find out how to extend the life of your batteries, how tire pressure can impact the speed of your cart, and why lubricating should be part of your regular golf cart maintenance. You can keep your golf cart running optimally with some preventative measures. Later models of golf carts often have a Tow/Run switch that is located under the seat. 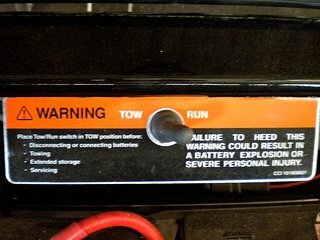 Set the switch to Tow anytime you perform any maintenance on your golf cart including working on the batteries. This switch is also used anytime the golf cart needs to be towed. The golf cart can roll freely in this position which helps to protect internal components like the electric motor and controller. If you own a golf cart, I'd recommend that you purchase or download a golf cart service manual based on the make, year and model of your golf cart. In the manual you will find detailed information on how to service and repair your golf cart. 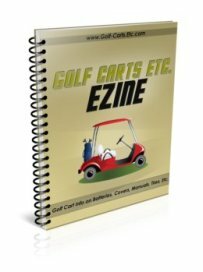 An owner's manual can be downloaded for free if you own an EZ Go golf cart or a Yamaha golf cart. But if you are looking for golf cart repair manuals, you will need to purchase them. 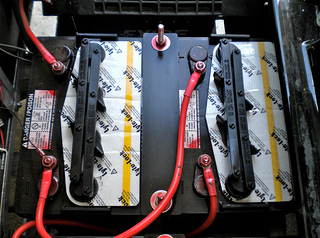 Golf cart battery maintenance requires checking your batteries for water and keeping the terminals and posts clean of debris. 4. 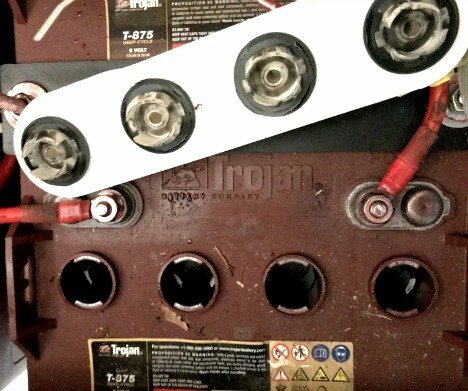 Ventilate when charging or using in an enclosed space to prevent explosive gas build up"
Thanks to these simple golf cart battery covers, corrosion can be prevented from developing on my batteries and battery cables. Find out how these covers work, where to get them and if you should consider getting a set for your golf cart. 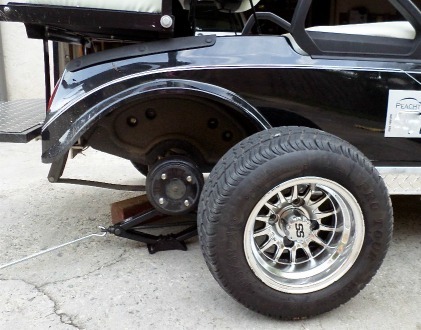 You can optimize the life of your golf cart tires by maintaining the proper air pressure. Overinflated tires will wear faster and uneven. For fun evening reading, I was going over my Club Car service manual and found that I should be following a periodic lubrication schedule. I knew it had been a long time, since this had been done, so I started with the front suspension. Check your golf cart manual for specific recommendations for your golf cart. The Club Car manual recommends that the front suspension be lubricated quarterly. Go from Golf Cart Maintenance to Golf Carts Etc.